This is an initiative in which entrepreneurs of the city get the chance to be known by the local community. Successful entrepreneurs offer a lot of benefits not just to the economy but the society as a whole. With the ever increasing number of successful entrepreneurs, they are inspiring other people to push for their goals too. They are liberators of our economy. UB instigates the aim to bring forward these high achievers and benefactors of society in presence of our readers. To begin with ‘Power of Women’ is paramount affair prevailing worldwide. Therefore we commence this section – called “Intro Entrepreneurs” – interviewing the very young, talented, and trendy and at the same time devoted to her roots – Nimisha Soni the owner of ‘Awesome Contemporary Clothing’. 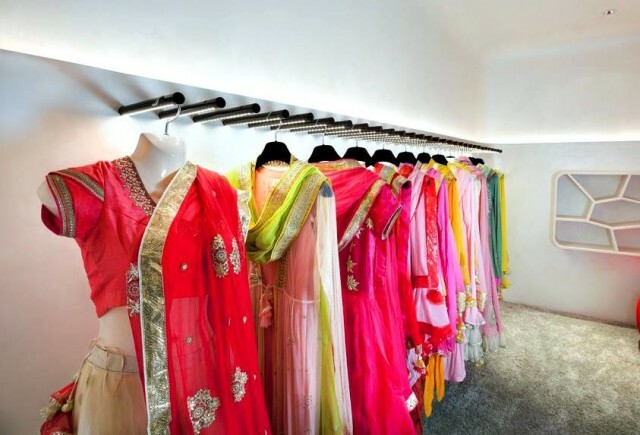 Awesome Contemporary Clothing is a boutique in Udaipur, which needs no introduction. They have been into this business from last 7 years. As I enter the store, I notice the readymade section filled with bright striking outfits. When I move further, I see Mrs. Padma Soni and her daughter Nimisha handling their clients with utmost patience and smiles on their faces..! 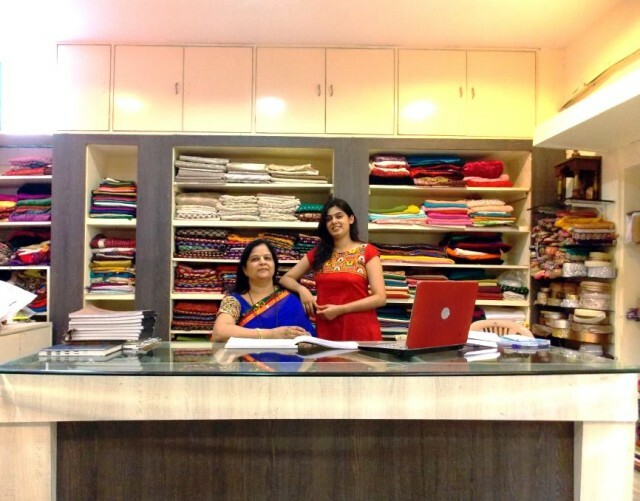 ‘Awesome’ was a small initiative taken by Mrs. Padma Soni and her daughter Nimisha Soni, 7 years back, with a very basic intention of staying busy. They had absolutely no divination about the future of the business. But their hard work and creativity paid off and today we see ‘Awesome’ emerging as one of the boutique providing customized clothing in Udaipur. Nimisha Soni was a 19 year old B.Com aspirant when she accompanied her mother in this venture. For 3 years she struggled together with her mother in establishing the boutique and prepared for higher studies simultaneously. Later she got selected for Masters of Fashion Management (MFM) by National Institute of Fashion Technology (NIFT). Her project for ‘Visual Merchandising at Ratans, Jaipur’ was highly appreciated and she topped with an eminent 10 percentile. Nimisha also got an opportunity to work with the designer duo Shyamal and Bhumika. After the course, she was placed at Bhartiya International, Delhi, but she chose to come back to Udaipur instead and joined her mother to expand the business, which she has done with maximal sincerity and dedication. She is also a very good dancer and has won many prizes in inter school and inter college competitions at national level. Every year, she is invited by NIFT, Gandhinagar to address and enlighten the freshers about the opportunities of being an entrepreneur post their MFM course. If you are creative, you can surmise a design, but you need thoroughly trained workers to properly execute your imagination drawn on a sheet of paper. The main struggle at the time was to search for efficient workers and to source the raw materials. Even today we remember the day when we started the business without having a single worker. But slowly and gradually we got a better staff and because of them we were able to deliver better products each day. Even today, the search for skilled workers is still on. Now, after 7 years, the main challenge is to complete the orders in time because we are totally dependent on our workers for each and every task from production to delivery. Sometimes you have to overlook your personal life, fun, interests and all such affairs to be able to fulfil your professional demands and yes, we do get tired by the end of the day, but a single call or a message of appreciation from your happy and satisfied client can make your day worth it…!! Our clients are our main strength who have always supported us and cooperated with us. We respect the level of their trust and faith in our work. And not to forget another major strength of ours – that is our team of workers who work day and night with utmost dedication to complete the orders for us. What have you learnt from the business apart from business..? The first thing required when we start any business is patience and here I mean a lot of patience to handle the workers and also the clients. There is a huge difference before and after the business because here we have to deal with people of all interests daily. Each individual has his or her own nature, behaviour and ways to tackle things. It’s important to understand their demands and respond in the appropriate manner required. Who motivated you the most..? The people who said that we can’t do this motivated us the most. Because proving them wrong was fun. What differentiates you from other boutiques in Udaipur..? Our customized concept under which we make the dresses as per our client’s budget, taste, occasion and demand. In spite of just sourcing the ready-mades from a wholesaler and selling, we design each and every piece of clothing on our own from the very basic level. Very balanced coverage of a nice creative and successful establishment.